Over 10 million people live in North Carolina, a fast-growing state with highly productive pockets such as the Research Triangle. The Tar Heel State combines natural beauty with technological innovation and a high quality of life. There are even a herd of top financial advisor firms ready to help you get your finances on track. So if you’re thinking of moving to North Carolina, you’re not alone. But before you go, here are 15 things to know about the state. 1. Basketball is a big deal. If you’re not currently a basketball fan, you may become one after moving to North Carolina. Cheering for the Tar Heels or fiercely debating the Duke-UNC rivalry are both popular in the state and you could ruffle feathers if you come down on the wrong side of a basketball argument. North Carolina prides itself on its distinct style of barbecue. Not a meat-eater? There are other culinary options in the Tar Heel State, of course. But if you decide you want to explore the state’s famous barbecue scene, you’ll find a world of delicious options. 3. The Biltmore Estate is worth a visit. Want to visit the largest private residence in the country? That would be the Biltmore Estate in North Carolina. 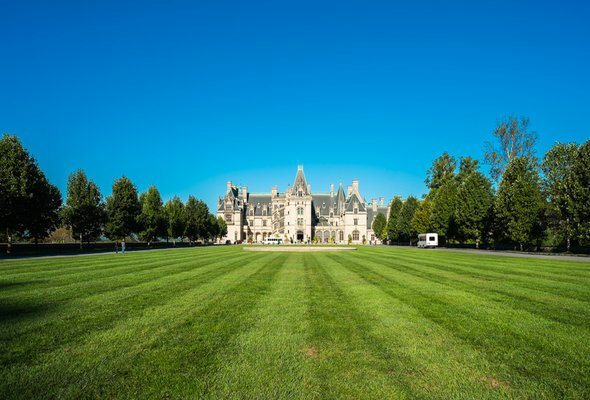 It’s an 8,000-acre estate built by George Vanderbilt outside Asheville. If you go, you can tour the house, grounds and winery. Shopping, dining and lodging are also available onsite. 4. North Carolina is a tech hub. The Research Triangle of North Carolina covers Raleigh, Durham and Chapel Hill and encompasses Duke University, North Carolina State University and University of North Carolina Chapel Hill. All that concentrated, educated talent has helped “The Triangle” become a tech hub. If you work in STEM, consider The Triangle. 5. The Blue Ridge Parkway will blow you away. The Blue Ridge Parkway is a famously scenic, winding roadway in North Carolina. 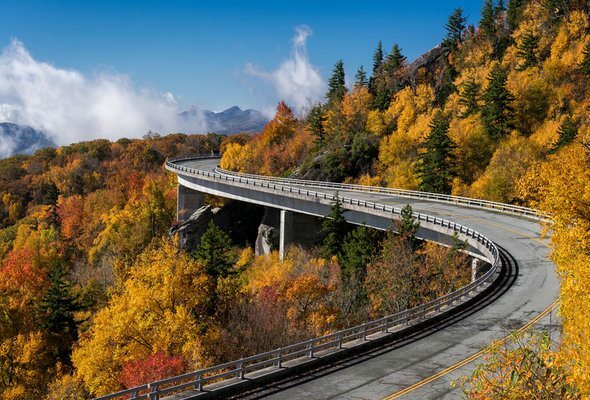 The Parkway cuts through Virginia and North Carolina and takes you through the beautiful Blue Ridge Mountains. If you decide to take the drive, you’ll find plenty of options for lodging, dining, camping and hiking along the way. 6. If you like waterfalls you’ll like North Carolina. North Carolina is famous for its beautiful waterfalls, many of which are accessible via hiking trails or tubing routes. A visit to one of the state’s waterfalls while the fall colors are out is a particularly memorable North Carolina experience. 7. Higher education plays a big role in the state’s economy. 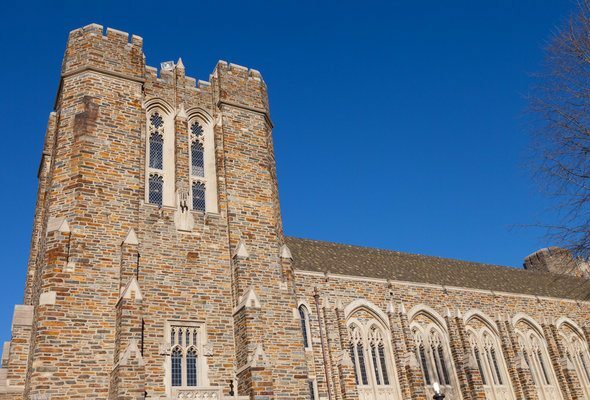 We mentioned the role that Duke, UNC Chapel Hill and North Carolina State have played in turning the Research Triangle into an innovation hub. In fact, UNC Chapel Hill is the largest employer in the state. If you work in higher education, the Tar Heel State may be a perfect fit for your skills. 8. Beach people and mountain people will both be happy with life in NC. 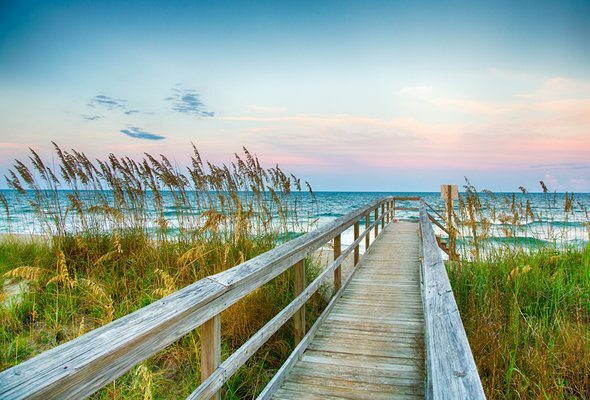 Is your household split between beach-lovers and mountain-lovers? If you move to North Carolina, you won’t have to choose. The state boasts beautiful beaches along the coastline and serene mountain landscapes. Everybody wins. 9. Dressing in layers is key. In the course of a single day, the temperature in North Carolina can swing by over 50 degrees. If you’re moving to North Carolina, bring plenty of layers. Mornings and evenings can be chilly, even when daytime temperatures are high. 10. City and state government don’t always get along. You may have heard about the controversial “Bathroom Bill” that the North Carolina state government passed in response to Charlotte, North Carolina’s anti-discrimination bill. The resulting controversy illustrates the sometimes-tense relationship between North Carolina’s cities – particularly its left-leaning cities – and the more conservative state government. This is a pattern that plays out in other states, too, but it’s worth knowing about before moving to North Carolina. 11. North Carolina is attracting lots of transplants. North Carolina in general and Charlotte, in particular, make frequent appearances on lists of the top places for millennials. Young professionals are flocking to the Tar Heel State in search of economic opportunity. 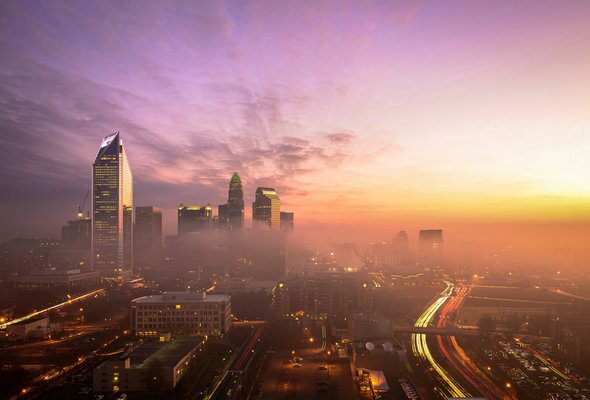 Unlike some other metropolises, Raleigh and Charlotte have relatively low housing prices, which makes them a more accessible choice for new arrivals than, say, New York or D.C.
12. Economic growth is going strong in North Carolina. Measured by GDP, North Carolina’s economy boasted some of the fastest growth of any state between 2013 and 2016. Of course, there’s no guarantee that growth rates will hold steady (or increase) but for now, the state’s economic outlooks seems good. It’s also worth noting that backlash against the state’s “Bathroom Bill” has cost the state millions as sporting events, conferences and other business have pulled out of North Carolina. 13. You’ll know you’re in the South. Sweet tea, friendly strangers, barbecue and “y’all” are dead giveaways that you’re in the South – and you can spot them all in North Carolina. If you’re a Yankee contemplating moving to North Carolina you might be in for a bit of good-natured teasing from your new Southern neighbors. 14. North Carolina is becoming more diverse. North Carolina’s Latino population has been booming. According to the UNC Carolina Population Center, the state’s Latino population grew from 1.2% of the total state population in 1990 to 8.7% in 2012 and keeps growing. The state’s Asian population is up, too. The Carolina Population Center predicts that between 2013 and 2033 the state will add nearly 200,000 Asian residence. Combined, these two trends are turning the Tar Heel State into a much more diverse place to live. Cheerwine is a distinctly North Carolina beverage. Developed by one L.D. Peeler in Salisbury in 1917, the cherry-flavored soft drink is popular in North Carolina though it’s little-known in other states. Of course, the sweet drink (42g of sugar per can!) isn’t something you want to consume every day, but it’s a Tar Heel treat that’s worth trying at least once. If you are moving to North Carolina, it’s a good idea to understand how the change will impact your budget. A financial advisor can help you navigate big life changes like a move, or simply help you identify and meet your financial goals in general. A matching tool like SmartAsset’s can help you find a person to work with to meet your needs. First you answer a series of questions about your situation and your goals. Then the program narrows down thousands of advisors to up to three financial advisors who meet your needs. You can then read their profiles to learn more about them, interview them on the phone or in person and choose who to work with in the future. This allows you to find a good fit while doing much of the hard work for you. Before you set your heart on the Tar Heel State, check to see if you can afford the cost of living. Comparing your current budget with your projected helps you plan ahead. Looking to buy a home? 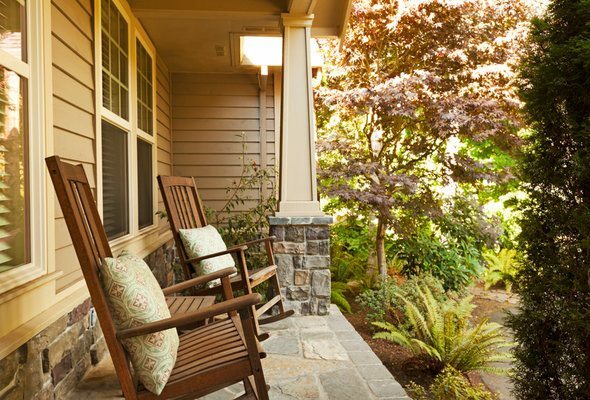 Try our North Carolina mortgage calculator to find your projected monthly payments.